Are you a hospital pharmacist that wants to have a more significant impact on the lives of your patients? The Hospital Pharmacy Academy will teach you practical critical care and hospital pharmacy skills you can apply at the bedside so that you can become confident in your ability to save lives and improve patient outcomes. Pharmacists that bring their unique knowledge to the bedside help save tens of thousands of lives every year (Bond 2007, MacLaren 2008). The journey to improving your clinical pharmacy skills can feel complicated, lonely, and overwhelming. So many pharmacists are on their own when it comes to learning clinical pharmacy skills. They want to help at medical emergencies but aren’t quite sure how. It's a challenge to separate theory from practical knowledge to apply to the bedside. Physician colleagues always seem one step ahead in new literature developments. Add to all of that the responsibility of precepting the next generation of pharmacy students and residents, and taking the time to come up with topic discussions and journal club articles! It’s easy to see why many pharmacists are feeling behind and overwhelmed - they don’t have the training, support, and practical clinical pharmacy knowledge they need! What if you could arrive at a code blue or rapid response call confident in your role and ability to provide for the pharmacotherapy needs of a crashing patient? What if you could efficiently and effectively prepare for multidisciplinary rounds, and deliver meaningful interventions for patients in the ICU? What if you could get the training, support and practical knowledge you need to succeed in code blue response, critical care, emergency medicine, infectious disease, and hospital pharmacy as a pharmacist and preceptor, all from one unbiased source? 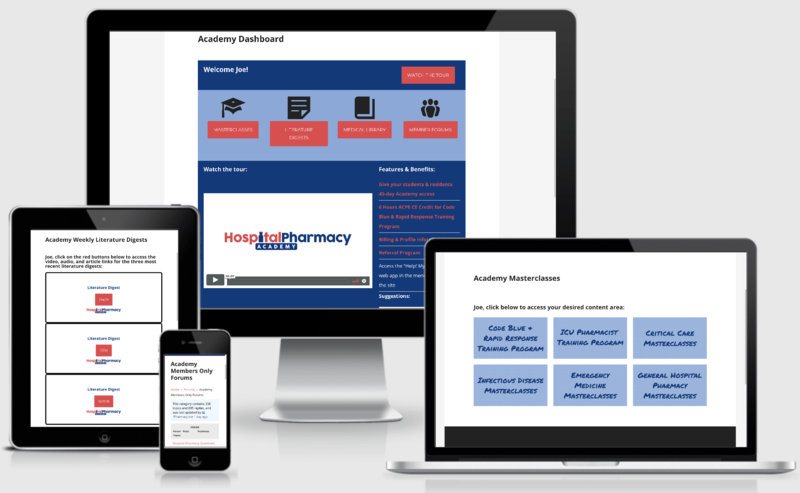 The Hospital Pharmacy Academy is an online membership site created by a hospital pharmacist that cares about other hospital pharmacists. 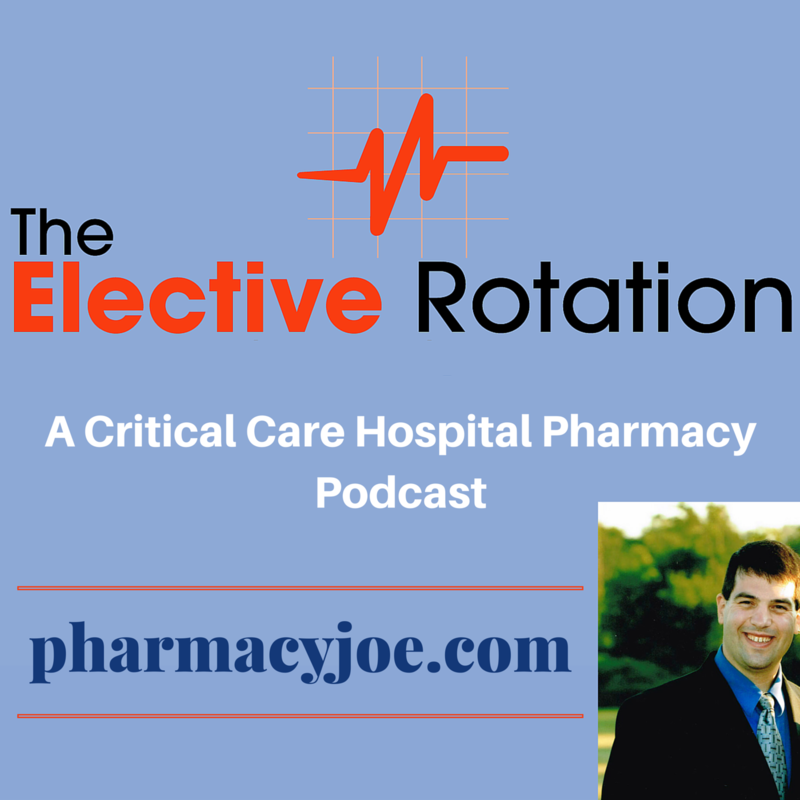 Pharmacy Joe is a Board Certified Pharmacotherapy Specialist, ICU clinical pharmacist, author of A Pharmacist's Guide to Inpatient Medical Emergencies and host of The Elective Rotation - A Critical Care Hospital Pharmacy Podcast. This 6-module training program prepares any hospital pharmacist to respond to code blue and rapid response calls, as well as successfully pass the BLS and ACLS healthcare provider courses. All content for this program is included in your membership. You may optionally purchase 6 hours of ACPE credit for the Code Blue and Rapid Response Training Program for the discounted members-only rate of $29 ($4.83 per credit hour). This 10-module training program will help you develop the confidence and skills necessary to round and make meaningful interventions in the ICU. The Academy contains 75+ Masterclass trainings in the areas of critical care, emergency medicine, infectious disease, and general hospital pharmacy. Each training takes a complex topic and explains it in a way that is simple to understand and apply. The trainings are self-paced, so there is no falling behind. Topics include Emergency Response, ICU Rounds, ICU Sedation, ICU Bugs & Drugs, Septic Shock, Interpreting Lab Data, Patient Assessment, ECG recognition, Safe and Effective Opioid Use, Airway Pharmacology, Medication Reconciliation, and much more. New Masterclass trainings are published monthly and archived so you can replay them at any time. Many members use the information in the Masterclasses to increase confidence, stay competitive, help precept students and residents, or supplement their studies for the BCPS and BCCCP exams. Stay up to date with medical literature and guidelines. Each Monday you'll receive a literature digest linking to only the most relevant new hospital pharmacy related articles that I hand-select from over 20 peer-reviewed journals and sources. In addition, each digest includes video and audio of my commentary on the new articles and how they apply to clinical practice. Many members use the information in the digest with journal clubs and pharmacy students. You'll never feel behind in the literature again! Members have full-text access to the journals Pharmacotherapy and Academic Emergency Medicine in the Academy Medical Library. All Masterclass trainings and literature digests are made available in both video and audio format to make learning on the go easy. You're not on your own anymore! Ask hospital pharmacy questions any time in the members-only forums. Here you'll have direct access to my expertise, as well as all of the other great Academy members. Every hospital pharmacy question gets answered! Acute Agitation, Alcohol Withdrawal, Anaphylaxis, Hyperkalemia, Hypertensive Emergency, Hyperthermia, Hypoglycemia, Hyponatremia, Methemoglobinemia, Opioid Overdose, Pulmonary Embolism, Respiratory Failure, Sepsis, Status Epilepticus, and Stridor. Preceptors who belong to the Hospital Pharmacy Academy are able to grant their students and residents 45-day complimentary access to the Academy content. Why 45 days? So that access lasts for students and residents as long as they're on your rotation. With access for students and residents, you'll be able to assign the Code Blue and Rapid Response Training Program, the ICU Pharmacist Training Program, and any Masterclass for topic discussions. Your students and residents will be able to access the content from anywhere. Also, students and residents will have access to the literature digests to identify high-quality articles for journal club discussions. You'll never be stressed trying to find the time for topic discussions again! Forum and Medical Library access is not available to students or residents granted Academy access in this way and remains exclusively for full Academy members. The Academy is a great way to develop skills for working as an ICU pharmacist or for any pharmacist looking to improve their skills and knowledge. The Masterclasses provide real-world application to topics such as rounding and patient assessment. The weekly literature review is very helpful for staying up to date on key publications and it is applicable to my day to day practice. I would highly recommend the Academy to others looking to continue on-going learning and to collaborate with others. 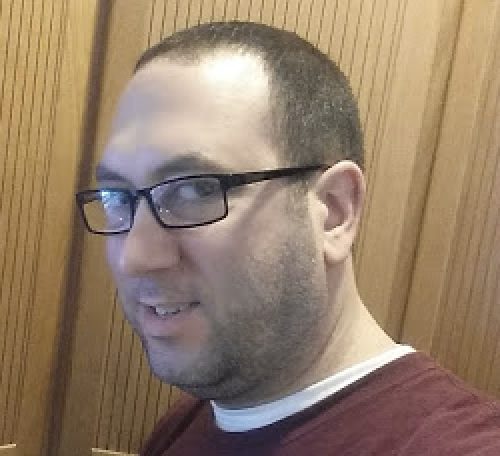 The blog is free, but there’s a fee for joining Joe’s Academy. I will freely admit, I’m a frugal (okay, “cheap”) Yankee. I don’t like paying for something unless I find true value in it. I took a chance on the Academy, and I have not been disappointed. The Masterclasses and literature digests are worth the price. Joe knows what a pharmacist working in hospital pharmacy needs to know and he provides it in an enjoyable, unbiased, and easy-to-understand format. Thanks, Joe, for a much-needed resource! I chose to join Joe's Academy after listening to his podcasts for a period of time...It struck me at that time that he used very innovative methods and that he had an unmatched enthusiasm and energy for keeping up to date. It also struck me how generous he was with his knowledge and how unassuming and unostentatious he was in sharing his expertise. Joe steps up his innovative methods as well as content, publishing regularly in the Academy. His literature summaries are succinct and the content diverse. I would never have time or actual access to as many journals and websites that he scans, let alone read them with any appreciative depth. I like the way he gives a summary and then his particular view on how it may apply. I love the variation in teaching platforms because if one is not feeling receptive in one mode, one may switch to another platform and actually have more retention. My students love his podcasts and I frequently use his weekly literature digests as material for journal clubs. I know that there are lots of sources for medical information and journal digests available but the Academy seemed the best fit for me in terms of content, applicability, ease of learning and maintaining my enthusiasm. I have not been disappointed, on the contrary it has been beyond my expectations...Overall, a very well worth investment. The Academy has made me more confident in my ability to assess and care for critically ill patients. The Masterclasses are in the form of easily digestible audio and video lectures. Joe explains things in a way that I can recall and apply at the bedside. I like that I can go through the Masterclasses at my own pace. They are archived and can be revisited any time I want. The weekly literature digest helps keep me on top of the extensive medical literature and even know about articles before my physicians do! Joe is very active in the Academy members only forums. It is the place to ask hospital pharmacy questions, get answers, and have deeper discussions. I highly recommend the Academy to anyone wanting to increase their knowledge about critical care and hospital pharmacy! Thank you Joe for this amazing resource! How many codes or rapid responses have you spent standing against the wall or outside the room because you're unsure of how to help? How many new studies are you missing out on because you don't have the time to keep up to date with the medical literature? How many list-servs do you pay for where you ask a question but don’t get a timely, informed response? Or worse, no response at all? How much do you spend on professional pharmacy organizations without receiving any practical training, support or knowledge in return for the membership fee? How often do you struggle to find the time to precept or have topic discussions with your students/residents? *The Hospital Pharmacy Academy will give you the training, support and practical knowledge you need to succeed as a hospital pharmacist and preceptor, all from one unbiased source. Monthly rate is automatically billed every 30 days from when you join. NO SIGN-UP FEES. NO HIDDEN COSTS. CANCEL ANYTIME BEFORE YOUR NEXT PAYMENT WITH ONE CLICK. / Year - Save $189! Annual rate is automatically billed every 365 days from when you join. NO SIGN-UP FEES. NO HIDDEN COSTS. CANCEL ANYTIME BEFORE YOUR NEXT PAYMENT WITH ONE CLICK. / 2 Years - Save $477! Biennial rate is automatically billed every 730 days from when you join. NO SIGN-UP FEES. NO HIDDEN COSTS. CANCEL ANYTIME BEFORE YOUR NEXT PAYMENT WITH ONE CLICK. Q: What is the time commitment? Can I "go at my own pace" and binge to catch up if I fall behind? A: The Academy is entirely self-paced, so there is no falling behind! Everything is archived and available for you at any time. Q: Will I lose out if I don't join on the first of the month or year? A: No, the Academy membership is billed every 30 days (monthly) or 365 days (annual) from when you join, not from the 1st of the month or year. Q: Can I join for a month and then switch to the annual membership? A: Yes, monthly members can upgrade any time and can apply their last payment toward the cost of an annual membership. Q: Will the Academy help me study for the BCPS or BCCCP exams? I’m studying for my BCCCP exam and found your Academy today through a google search for supplemental material. I just wanted to say I’m highly impressed. It’s very well structured and totally relatable to practice. Please keep up the good work!" – Ryan W.
"I had been using the Academy to supplement my studying for the BCPS exam and to keep up to date on pharmacy materials. I recently found out I passed the exam…" – Dan C.
I wanted to let you know that I used your Academy Masterclasses and podcasts to study for the BCCCP and I just found out I passed! Thank you for this resource and keep up the good work!" – Erin M.
Q: I'm leaving community pharmacy for a job in a hospital - can I still join? A: Yes, the Academy content is very helpful to pharmacists who are transitioning into hospital pharmacy from careers in community, ambulatory, or long-term care. Q: Can your Academy help a pharmacist that does work in a hospital become more clinically oriented? In other words, would it help a pharmacist that wanted to transfer to a more clinical role? A: Yes, the Hospital Pharmacy Academy is perfect to help a pharmacist that wants to transition to a more clinical role. I myself have made this same transition, and have created the Academy to be the resource that I wish was available to me back when I switched to a clinical role. …and many more – over 75 trainings and counting with more added each month. Also, with the members-only forums you can ask questions at anytime that come up from the trainings or in your practice. Q: Can I join if I am not in the US? A: Yes, anyone can participate from anywhere in the world as long as they have an internet connection. 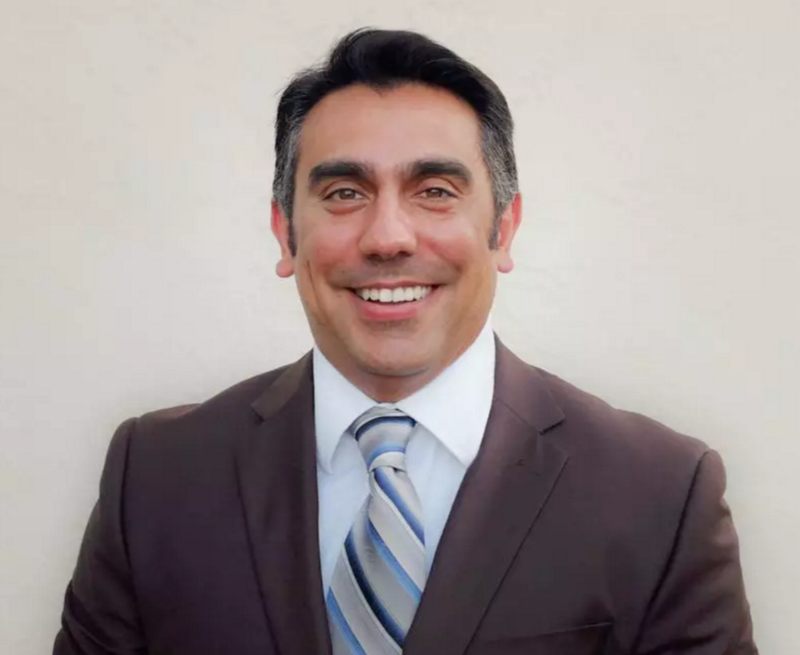 I am a US-based pharmacist and speak to the laws, regulations, and medications that I know. Q: I'm not a pharmacist - can I still join? "Joe, I am a board certified ER doc. I work in a level 2 trauma center. We are the local STEMI, and stroke receiving center. We work pretty closely with our group of clinical pharmacists in our ER. We have developed protocols for DVTs and patients with severe agitation. I have noticed that although we are on the same team, docs and pharmacists don't always look at the things the same. It seems like physicians tend to be more gestalt oriented and pharmacists like numbers and statistics. Obviously, bedside medicine is an art and a combination of both of these things appropriately balanced. I stumbled on your podcast while looking for a good up to date pharmacy source and it's excellent. 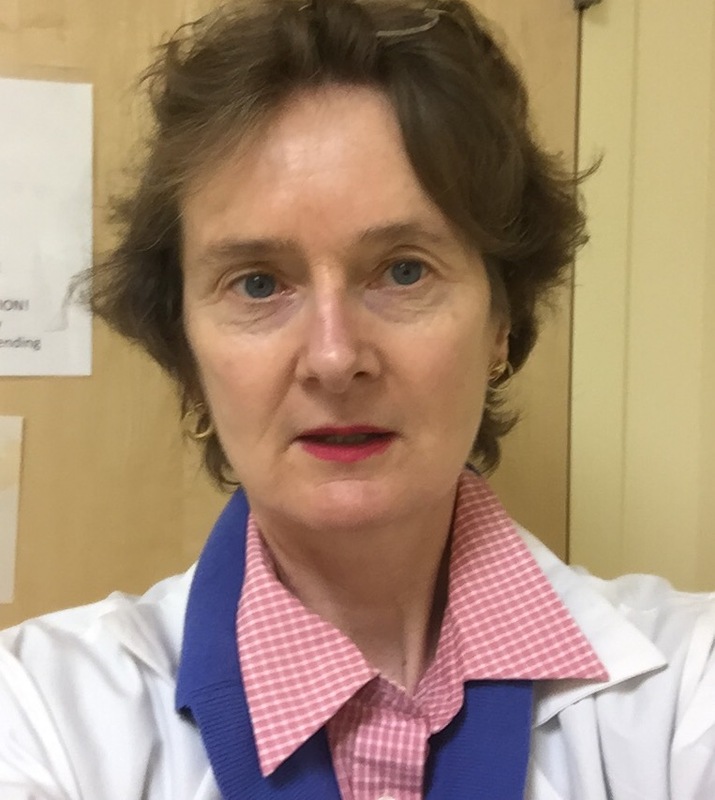 I am hoping to improve and maintain my pharmaceutical knowledge, stay on top of new things, and learn how the pharmacists think so as to build a better rapport to make our department even more effective." - Michael F.
A: Because the Academy is a digital product, and you get immediate access to all of the high-quality content within the Academy, there is a strict no-refunds policy. Membership is based on having Academy access and not based on website usage. You can cancel your recurring membership anytime before your next payment with one click of your mouse to prevent being billed again. Q: Are continuing education credits offered? A: Yes, all of the Masterclass content is included in your membership. You may optionally purchase 6 hours of ACPE credit for the Code Blue and Rapid Response Training Program for the discounted members-only rate of $29 ($4.83 per credit hour). All Masterclasses comply with accreditation standards. Q: Do you offer institutional group rates? A: Yes, fill out this form for a quote on an institutional group rate. Q: Can my hospital pay you directly? A: Yes, this option is available for the annual or biennial enrollment plan. Send an email to joe@pharmacyjoe.com for an invoice and W-9 form. Q: Can you provide an invoice and/or W-9 form so my hospital will reimburse me? A: Yes, send an email to joe@pharmacyjoe.com to request an invoice and/or W-9 form. Q: What if I have a question that is not answered here? A: Send an email to joe@pharmacyjoe.com and I'll be happy to answer it! I’m new to critical care and wanted to learn more about it. The Masterclasses help me to refresh my memory, learn new information, and help me to compare what other pharmacists do at different institutions. The weekly literature digest helps me in 2 ways. It helps me to stay up to date with current journals and helps me choose what journal I can assign to my APPE students. I would definitely recommend the Academy! This is a great program for new pharmacists, residents, and experienced pharmacists who are interested in critical care, emergency medicine, infectious disease, and hospital pharmacy. The price is affordable and it’s worth it to sign up and see if it helps you. Pharmacy Joe is very dedicated to his Academy and open to feedback, so everyone can benefit from his Academy. Recurring every 30 Days. NO SIGN-UP FEES. NO HIDDEN COSTS. CANCEL ANYTIME BEFORE YOUR NEXT PAYMENT WITH ONE CLICK. Join the Hospital Pharmacy Academy Today! I've helped over 1000 hospital pharmacists become confident in their ability to save lives and improve patient outcomes. I can help you too!